Transforms your paintwork to a deep, rich glossy finish. T-Cut Detailer shines like a wax but takes a fraction of the time to apply. 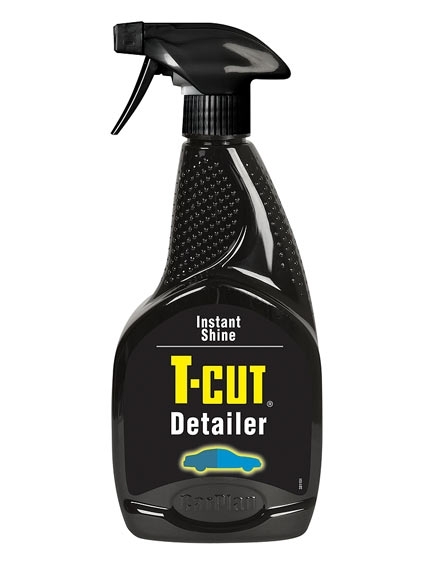 T-Cut Detailer is a mild cleanser and hard surface treatment that is suitable for everyday use to remove dust, dirt and fingerprints in between regular washing. No polishing, buffing or hard rubbing required. This entry was posted in Uncategorized, Wax. Bookmark the permalink.